Padrino debería ponerse par de b… y detener a Maduro. Fue quién ordenó la instalación de este sistema de torturas en la dgcim y el ingreso de los malditos cubanos a sus instalaciones. Ahí no se hace nada que Nicolás no apruebe. Damascus,(ST)-Is the danger of US military intervention against Venezuela near? What is the best workable way to resolve Venezuela crisis peacefully? And what are the similarities between US war against Syria and what Washington is attempting against Venezuela? These questions are answered by Gloria La Riva, the American anti-war activist, who works at Cuba and Venezuela Solidarity Committee. La Riva told the Syria Times e-newspaper that the US administration at this time can’t afford politically to directly intervene with U.S. troops, but they are engaged in covert military actions, including the arming and training of paramilitaries for possible action in the near future. Her article in Liberation News, https://www.liberationnews.org/terrorist-plot-in-venezuela-thwarted/ explains one of those plots that has just been exposed and is being dismantled. “The U.S. tactics right now involve the degrading of Venezuela’s infrastructure. They are trying to not only continue the electricity sabotage, but to permanently damage the power system in order to create severe hardship and evoke civil strife in the population. This way it can claim to rescue a “humanitarian crisis,” as the situation develops, and then perhaps use more direct military means,” La Riva said. The anti-war activist, who has been in many countries representing social justice causes, affirmed that US imperialism is heading these efforts, and is supported by its European, Canadian and right-wing Latin American allies. She referred to the fact that the masses who support the Bolivarian Revolution are resisting valiantly along with their government, keeping mobilized in the streets on a permanent basis, organizing in their communal councils and communes, linked with the ministries to distribute the food boxes called CLAP to more than 6 million families, working to set up alternative sources of water when the electricity is downed, forming civilian militias that work together with the military, and defending their homeland. La Riva believes that the crisis would be resolved if the Venezuelan people were left alone without U.S. interference, without U.S. sanctions. “When you hear the Venezuelans who oppose the rightwing opposition inside the country and the U.S. role, they say, “Yes, we have problems like everyone else, but let us solve them ourselves.” It is remarkable how peaceful the situation is in Venezuela, despite the extreme difficulties caused since January with the growing U.S. aggression. I was in Venezuela for the almost 5 days of blackout from March 7 to 12, and it was generally calm,” she stated. 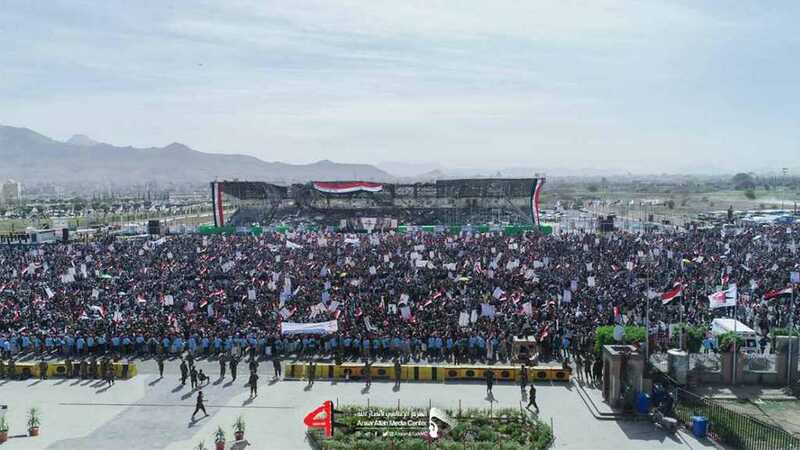 The activist stressed that he people did what they could to overcome the water shortage, because electricity is needed for the water system, but there were no major disturbances. And yet the U.S. and its opposition forces have continued attacking the power system. One thing for certain, the U.S. government is promoting the violence as they have in various periods of the last 20 years. “Juan Guaidó’s party, for instance, Voluntad Popular, Popular Will, is a fascist organization that is financed and its leadership fully supported in the recent terror plots that were uncovered. If successful they would have carried out major violence. That danger still exists,” La Riva asserted. La Riva, in addition, elaborated the similarities between the U.S. war in Syria and what they are attempting against Venezuela. 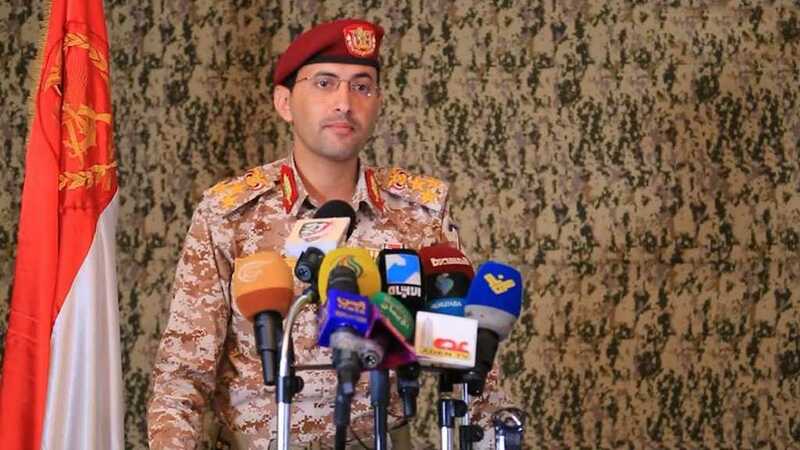 The activist emphasized that the resistance of both peoples is the essential element in defense of their sovereignty and independence. “We salute Syria for staying strong against the years-long terror war, and also stand side-by-side with the people of Venezuela. #HandsOffVenezuela #HandsOffSyria,” La Riva concluded. The excitement in some US and foreign diplomatic circles about the rise of Juan Guaidó and an expectation for the fall of Nicolas Maduro has been replaced by frustration over the Venezuelan leader’s staying power and concerns of Russian and Chinese meddling, according to multiple diplomatic sources. 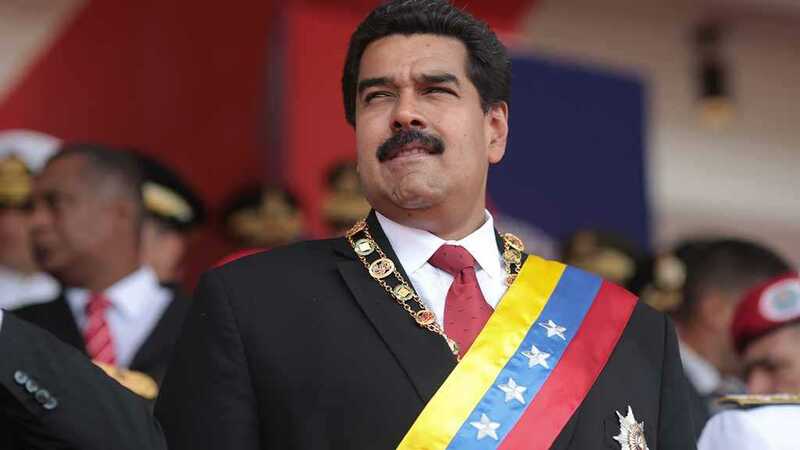 Diplomats from the region say economic pressure, mainly US sanctions, may not be enough to dislodge Maduro, if the Venezuelan people don’t rise up. The Venezuelan generals who the US sees as key to controlling the populace have stuck by Maduro despite veiled US threats of taking military action and promises their families would be blocked from entering the US. The sanctions must be given time to have an impact, some argue. Venezuela’s oil sector accounts for as much as 70% of the Maduro government’s income. The Trump administration continues to ratchet up the pressure. Sana’a – Kanan, eight-year-old, all he can remember well of his martyred dad is that “my father was taking me in a trip to the park”. Kanan was only 4-years-old when he lost his father as two suicide bombers detonated themselves with two other bombers at two pro-Zaidi mosques, Badr Mosque and Al Hashoosh, on 20 March, 2015 while worshippers gathered for Friday prayers. At least 137 were martyred, and 351 wounded, according to medics. Local media said the attacks are “the deadliest terrorist attacks in Yemen’s history”. Some children were killed because their fathers brought them to the mosques. However, Kanan was only 4-years-old at the time, that’s why his father did not take him there. On Wednesday [March 20, 2019], the day that marks the fourth anniversary of this massacre, Kanan sat beside his father’s grave, and prayed for him along with his grandfather, Hamoud. Kanan has another sister. She is 9-years-old and was in a deep state of shyness that we forget to ask about her name. She also refused to be pictured nor to speak to al-Ahed News reporter. She and Kanan study at a private school. She is at second grade, and Kanan at first grade. Kanan says he has a dream to be something special in the future. 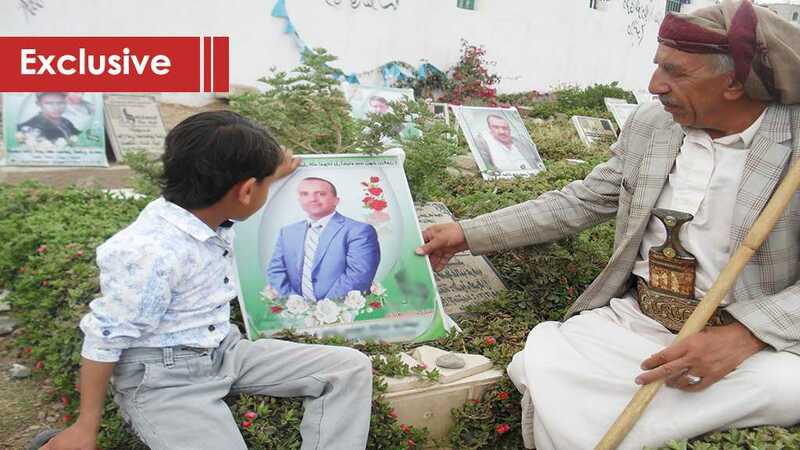 Then, Kanan’s grandfather, Hamoud, was walking with a stick between the graves where hundreds buried including martyrs of these four suicide bombers that the Yemeni branch of Daesh [the Arabic acronym for terrorist ‘ISIS/ISIL’ group] claimed its responsibility for the first time since it was announced to have a branch in Yemen in November 2014. US administration on the next day of the suicide bombers condemned the attack without sending condolences to the families of the victims. “The White House ‘strongly condemned’ the attacks, but said it could not confirm that those behind them were affiliated with Daesh, according to BBC. Spokesman Josh Earnest said Daesh could be falsely claiming responsibility. Kanan’s grandfather, Hamoud, remembers with pain the two terrorist suicide bombers, claiming to be disabled and hiding explosives under casts, detonated at Al Hashoosh Mosque worshippers, near Sana’a International Airport, where he used to pray at and where Kanan’s father, and Hamoud’s son Ghaleb martyred. Hamoud, during our visit to the graveyard, he pointed with his stick to a martyr. He named him Osama. Osama at his late teens. Hamoud said Osama was a guard at the entrance of Al Hashoosh mosque and any worshipper was subjected to security searches before entering the mosque via Osama. Osama was a volunteer at the popular committees that had captured Sana’a. Hamoud says we were performing Friday prayers, “we heard an explosion outside the mosque”. “It was this boy, Osama, who stopped -at the entrance- the first suicide bomber from getting inside the mosque, then the attacker after resorted to blow himself up,” Hamoud told al-Ahed News. Before we went to the graveyard, we met father of Osama, Mohammed Al Ward, outside the mosque. Hamoud told us he is a father of a son martyred at the entrance of the mosque in a heroic operation. “Osama searched the suicide bomber at the entrance. The suicider told him he wants to get into the mosque to blow himself at the worshippers,” Osama’s father said, citing reports of colleagues survived the blast. “According to the families near the entrance, they told me he got in a fistfight with the suicider, he took him over a taxi to be transported to special place, and the suicider threatened to blew himself up. Osama urged his colleague to run for their lives, but he is not afraid of his life, forcing the suicider to blow himself up,” said Osama’s father. Kanan’s father was inside the mosque, while his grandpa was at the prayer hall. It was a surprise for our website to speak to Hamoud while he was sitting before we reach him at the same place he said he was in during the blast. After the first explosion, another terrorist infiltrated on crutches to the mosque, claiming disabled and hiding explosives at his legs that were really detonated materials plastered on. Another survivor, Mohsen Taher, in his sixties, said he was under the rostrum two minutes before the second suicider blew himself up at the same place. Immediately after the prayer, Taher said, worshippers stormed out of the mosque, to figure out what happened outside the mosque in the first explosion. “I was one of those who run to see,” Taher said. “I just came out from the western gate of the mosque cup the prayer yard, helping an elder man to walk, I stood at this place, where grandfather of Kanan was sitting,” Taher told al-Ahed News. “Immediately I heard second explosion inside the mosque,” Taher added. Taher explained that the second explosion was at the place where he performed Friday prayers. “All the people whom were around me martyred because they remained there,” Taher said, thanking Allah that he got out immediately. People at Al Hashoosh Mosque were surprised at the international biased condemnations of the terrorist suicide bombers, where condemnations limited to denounce the assault without sending condolences to the families of victims like the one of the White House. The international community kept silent on this crime, according to Taher, because it was “an American and ‘Israeli’ design a long time ago”. At the time, there were many of Ansarullah leaders at the mosque who survived the bombers like late president Saleh Ali Al Samad, whom Hamoud said was on the second floor of the mosque. Al Samad was then martyred in a US drone air strike in Hodeidah last April. However, innocent civilians died at this terrorist attack including Kanan’s father who was working at the Commercial Bank and Agricultural Cooperative Lending and has nothing to do with this all this sectarian assaults. Grandfather of Kanan, Hamoud, lost his son Ghaleb in the terrorist attack. Kanan lost his father, and Hamoud mourns his son Ghaleb. Ghaleb was working at the Commercial Bank and Agricultural Cooperative Lending Bank and was able to make a good living for his father and two sons. However, after this assault, Hamoud says his son’s salary was decreased by the bank. “The bank pays now only $50. It’s for nothing if his children are still depending on it,” said Hamoud. While we were waiting for Kanan and his sister to get out of the school so we can visit their father’s grave, Saudi-led warplanes were hovering on Sana’a for the first time in more than a month. That Saudi overflight has demonstrated that there is no light at the end of the tunnel for the war to end, and that the cycle of war will continue to let Yemeni children like Kanan to suffer and pay the heaviest price.